Tokyo Electron Limited (TSE:8035) lies at the core of the Tokyo Electron Group, one of the world's top manufacturers of semiconductor production equipment, LCD production equipment, computer systems and electronic components. In 1963, a group of young and innovative entrepreneurs established TEL, the first company to introduce American semiconductor production equipment and integrated circuit (IC) testers to Japan. Since then, the company has grown to encompass nearly 80 offices in 16 countries that engineer, manufacture, sell, and service wafer-processing or semiconductor production equipment (SPE), as well as flat panel display (FPD) equipment. As the world market share leader in several product lines, TEL plays a key role in the evolving global semiconductor industry. 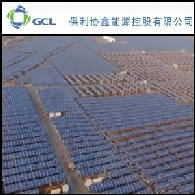 Asian Activities Report for February 7, 2012 includes: GCL-Poly Energy Holdings Limited (HKG:3800), a leading polysilicon and wafer supplier as well as a top green energy enterprise in China, has formed a 50:50 joint venture named Sunora Energy Solutions 1 LLC ("Sunora"), with NRG Solar, one of the largest photovoltaic ("PV") project developers in the United States; Hutchison Whampoa Limited (HKG:0013) says that its subsidiary Hutchison 3G Austria ("3 Austria") has signed a binding agreement to acquire 100% of Orange Austria to become a top 3 player in the Austrian market; Furukawa Electric (TYO:5801) has completed the acquisition of SuperPower Inc., a US-based manufacturer of second generation high temperature superconductivity wire; Tokyo Electron Limited (TYO:8035) plans to set up a wholly owned subsidiary in Singapore, called Tokyo Electron Singapore PTE Ltd., on April 1, 2012.